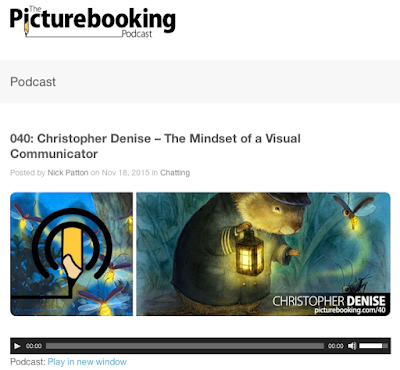 Ever hear of the of the Picturebooking Podcast? It's run by the nicest guy ever, Nick Patton. Nick has interviewd people in our industry like Molly Idle, Dan Santat, Peter Bown, and Kelly Murphy, to name just a few. He invited me on the show to talk about Firefly Hollow and making books. He's got a way with his guests that reminds me so much of the radio show from Northern Exposure that I assumed we would be stopping by Rosyln's cafe for a few cold ones when we wrapped it up. But don't be fooled by Nick's laid back approach. His questions are spot on and there is top notch content in the archives for anyone in the buisness or interested in children's books. I've learned quite a bit from listening to the shows while working. Subscribe(free) on itunes and take a moment to rate or review it. 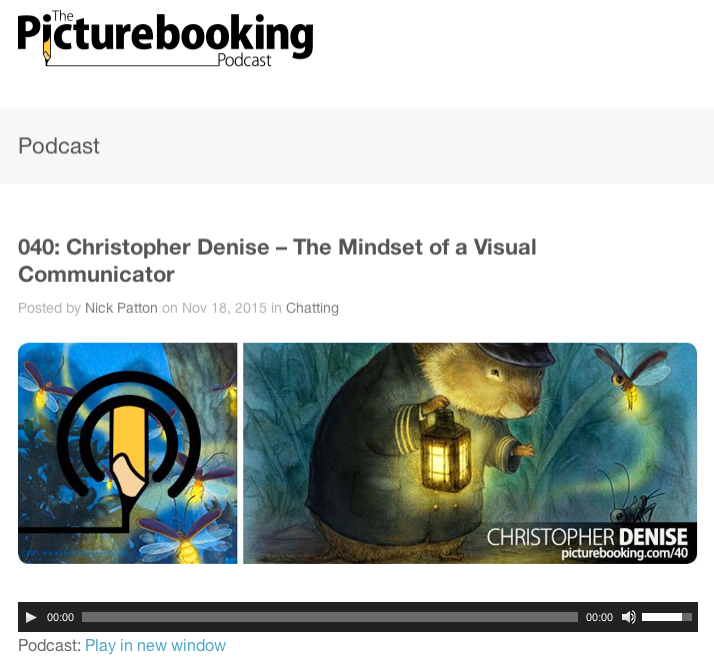 This small thing helps podcasts like Picturebooking stay on the air keeping us all more informed about children's books and the people that create them. Then, you can listen to me ramble on for about an hour!